Global Islamic finance torn between competition and consolidation --> A Â€˜compare and contrast' exercise was possible last week for those who had attended Dubai's Global Islamic Economy Summit and previously London's counterpart event a few weeks ago. An even greater number of delegates was apparently present, over three thousand, in the rather more salubrious setting of Madinat Jumeirah, which, it's probably fair to say, beats a reclaimed industrial dockland anytime, but especially in late autumn. Dubai was seeking to lend weight to its claim as the putative centre of the Islamic economy, extending its reach beyond the familiar field of Sharia-compliant finance, although this correspondent's focus remained on this key element, which attracts such attention, given the business potential still to be had. One statistic delivered in a side session illustrated that point even more starkly than before. 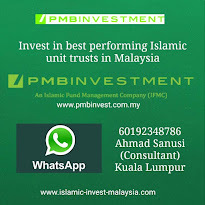 It's often noted that Islamic financial assets make up only 1 per cent of the global total, just to keep a degree of perspective amid the hype. In respect of assets under management, though, that ratio, so we were told, is $60 billion versus some $60 trillion overall, making it a miniscule percentage and a sitting target for rapid evolution if this segment of activity can be cultivated. There were so many so-called takeaways from the event -- informational sustenance rather than alimentary -- that it would not do the subject justice to sweep through them. It's a topic to be tracked with due discretion and consideration, and to be filtered through the prism of time. That said, as an exception, the publication of the Thomson Reuters Islamic Financial Development report was of special note in analytical terms, as is the rubric of this space. It carries a multi-category analysis showing Malaysia leading the pack in the rounded advancement of the industry, followed interestingly by Bahrain , then UAE , but not featuring Saudi Arabia in the top ten, despite its size. 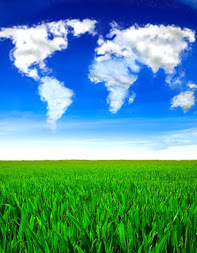 That prompted thoughts here on the global process of the sector's development, and whether that predominantly will feature on the one hand competition between the various locations that want to secure market share, or collaboration on the other hand, by the various centres and regimes to get the job done. A harmonization of standards, documentation and regulation is believed by so many involved in the industry to be necessary. 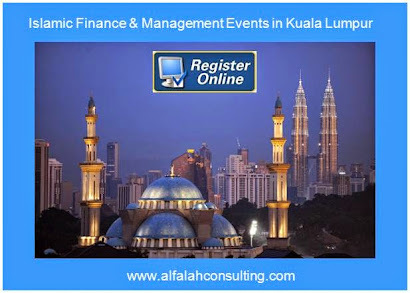 While we hear a lot about the Gulf and Malaysia in their dominance of Islamic finance, their motivating forces and realization seem distinct, and internationally the sector appears fragmented. Even basic research yields that, whereas Malaysia has embraced the sector in a focused way, as part of developing financial services within a national economic strategy, the Gulf's approach till now, for all its longevity and natural affiliation, has been sporadic. Malaysia has stolen a march, with a concerted agglomeration of support from the government, central bank, securities regulator and participating institutions. That well-coordinated process continues today. 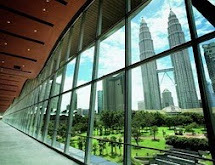 With a new financial district in view, Malaysia wants to compete with Singapore and Hong Kong , in keeping with its programmed vision to 2020. 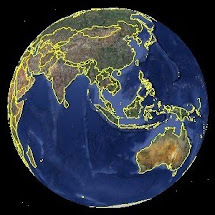 Most especially, as an underlying philosophy, Malaysia seems devoted to meeting the requirements of the market, rather than imposing a specifically ethical or religious predestination. In spite of its obvious alignment with Islamic finance historically, in the GCC the sector's growth has been organic rather than systematised, to date. Of course, the region has had enviable energy resources to rely on, often argued to have curtailed other avenues to growth. In a globally competitive sense Malaysia is ahead in the game, practically speaking, particularly in trained staff. Meanwhile, a unified, consolidated outlook is actually not on the agenda in the Gulf, although, clearly and by definition, not every centre in the region can be a hub. Indeed, the recent signing of a Memorandum of Understanding between the central banks of Malaysia and the UAE , aiming to foster closer economic ties, indicates that co-operating externally could actually be easier than bonding internally. In some sense, it is not surprising that the GCC states, as sovereign nations, should have ploughed their own furrows. The absence so far of Gulf monetary union is evidence of this disjuncture. Europe's dysfunctional condition as a template can only have warded off collectivist sentiments. At the same time, the Gulf's deeper association with Sharia-compliance is a profundity that even its rival Malaysia is known to respect. The different schools of thought might prove an enduring schism. That's not fatal for the industry, but might remain a disadvantage for those who want an Islamic market, but need it to be streamlined. Perhaps Dubai has a chance to find a way between the two pillars: of cultural authenticity alongside the pragmatism necessary for significant success in the real, competitive world. As far as comparing and contrasting is concerned, while the UK may have a Â€˜can-do' attitude, it's as if Dubai goes the critical step further, with a Â€˜will-do' resolution.